One of the great choir’s of Wales Pendyrys Male Choir from the Rhondda will surely lift the roof with its mighty sound. This renowned choir has continued its illustrious success story under its current musical director Stewart Roberts. Sharing the stage will be Cor Ysgol Gyfun Y Strade, Llanelli. This highly successful school youth choir has had numerous accolades under musical director Christopher Davies. 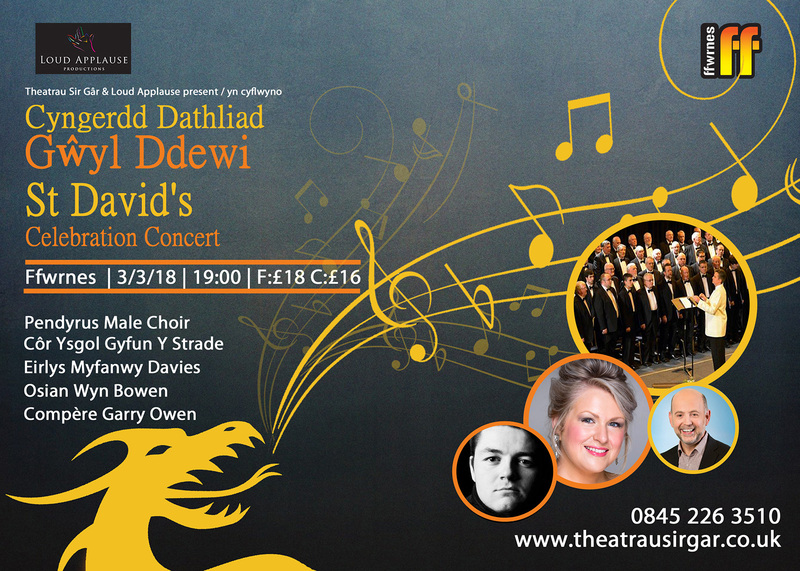 Joining the choirs will be two very popular soloists mezzo soprano Eirlys Myfanwy Davies and tenor Osian Wyn Bowen. An evening such as this would not be complete without Garry Owen as our host. Join us in what promises to be another memorable evening to celebrate our Patron Saint.